Goodreads Description: From the creators of the wildly popular Welcome to Night Vale podcast comes an imaginative mystery of appearances and disappearances that is also a poignant look at the ways in which we all struggle to find ourselves...no matter where we live. My Review: Life in Night Vale is about as quirky as it gets. From the first page we're immersed in the wild candor that gave the podcast its huge following. As I'm not much of a podcast person, I hadn't had much experience with it going in, aside from hearing about Night Vale from a friend of mine. So I was delighted to see they had written a book about the mystical town, and couldn't wait to get pulled into the weirdness. However, though the weirdness was initially very delightful, I found its repetition without a destination made it tiresome after about three or four chapters. I'd never gone from loving a book quality to getting bored by it so fast, but for that Night Vale takes the cake. I believe the reason that the quirkiness grew to bore me so quickly was the lack of substance and tie in. The story begins by following the lives of two women whose lives are disrupted by a man in a tan jacket. The story lays out the threads of its plot separately, obviously with the intention of tying it all together in the end. Unfortunately, where many narratives braid those threads of plot together throughout the story, it felt like Welcome to Night Vale kept its strings all separate until it attempted to tie it all together in a big knot at the end. In the same way, the quirkiness and strangeness of the narrative and of the town didn't mesh with the actual plot of the story. 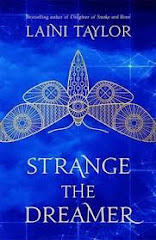 Very early on it became apparent that much of it was just random, there to be strange for strange's sake, without adding anything or causing consequences, even small ones, in the world around it. Because of that, I quickly grew frustrated with any of the quirks that didn't tie back into the story at hand. Of course, as I was reading, it occurred to me that the reason all these things seem so random to me is because they are probably references and inside jokes to things that have already transpired in the podcast. And while that is great for the fans already listening to the show, as someone new coming into the world I just felt left out of the loop. I've always said that books should be able to stand on their own, whether you're writing a series or writing about canon that has already been established. So as a way to get new people involved in the world of Night Vale, this book certainly failed. Now I feel less inclined to turn on their podcast, though many say this book is not a good representation of it. There were parts of the book I enjoyed, which is why this wasn't a complete downer. I liked Jackie and her issues with turning twenty. I liked the relationship between Josh and Diane, and how they portrayed a relationship between a parent and a teenager. There were a lot of lines that made me crack up out loud, and there was some amazing quotes I pulled from there. But ultimately, the book was just dull. Even with all the weirdness thrown in, somehow Night Vale had next to no tension in it. Which is a damn shame. TL;DR: 3/5 stars. Not a waste of time, but definitely didn't live up to its potential.